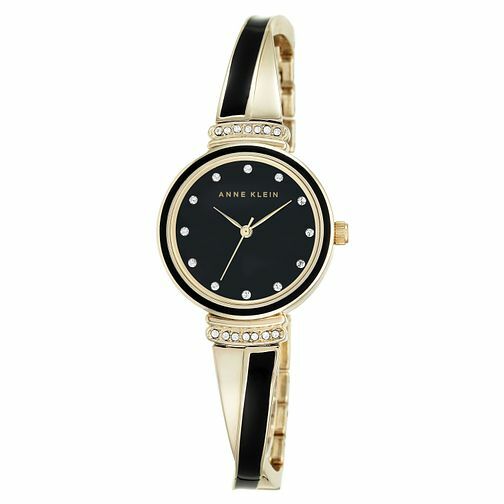 This sumptuous Anne Klein Swarovski Crystal Gold-Tone and Black Watch exudes refined elegance and is the perfect timepiece to accompany those stunning evening looks. The matte black dial is beautifully embedded with crystals, resulting in a sleek and sophisticated look. Impossibly stylish, you will never want to be without this wristwatch.